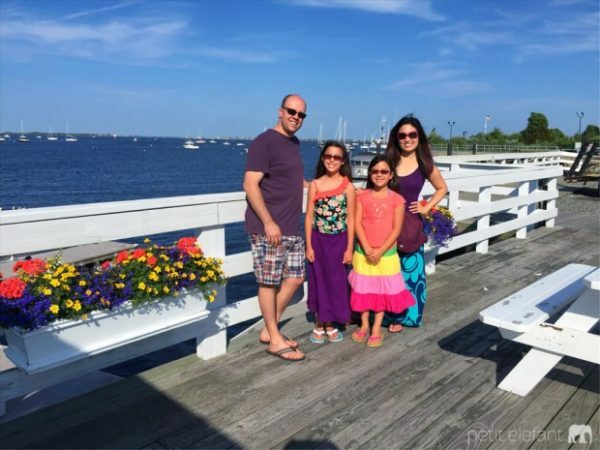 This summer we had the unique opportunity to spend two months in the Boston, Massachusetts area. While there we tried to squeeze as much out of our time on the East Coast as possible. Our first weekend exploration adventure began in a quaint town just 30 minutes from where we were staying in Andover, MA. If you’re driving from Boston, it’s only 50 minutes. Newburyport is absolutely darling. If you’re looking for boutique shops, homemade ice cream, gelato, strolling down streets and great eats to enjoy a breezy day, Newburyport is it. Our family are official fans of Newburyport and Plum Island, MA. Best of British is a quaint little shop filled with everything an Anglophile like me would want to browse. They also have a selection of loose leaf teas. We brought three different flavors home with us. Village Silversmith is filled with all things silver, crystals, fossilized gifts, and gemstones, along with many more fascinating finds that my daughters loved. Pawsitively Best Friends is a darling shop for pet lovers. They have so many cute signs, gifts, and supplies for the discerning pet friend. We also noticed that many of the shops, not just the pet shops, had bowls of water set outside for any pets that happened to need a drink. The New England area seems very pet friendly. 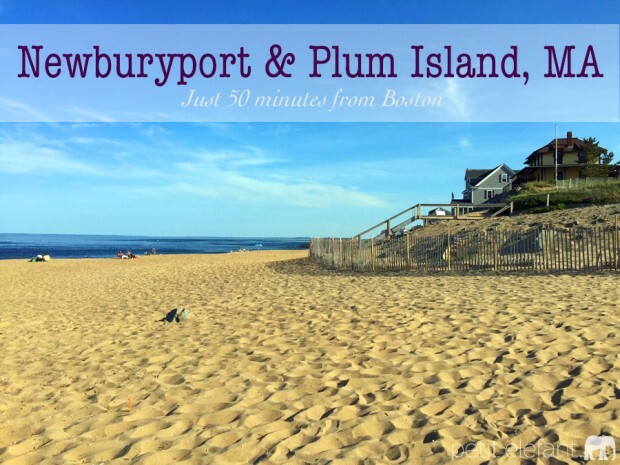 Plum Island is just a short drive, maybe 5-10 minutes max from Newburyport. It’s a must visit. Here you’ll find the gorgeous ocean, with a soft, tan, sand beach. The fences and homes that overlook the beach were exactly what I imagined before we arrived in New England. The weekend we visited Plum Island was one of our favorites. Over the summer I returned with just my girls during the weekdays, and loved every moment. Gram’s Homemade Ice Cream is a darling little ice cream shop where all their ice cream is homemade. It’s fun to sit in the window and watch the passersby. Dolce Freddo Gelato is another choice you have, if you prefer gelato instead of ice cream. I simply don’t know how to say no to gelato. Bob Lobster is a must visit if you are in the area. 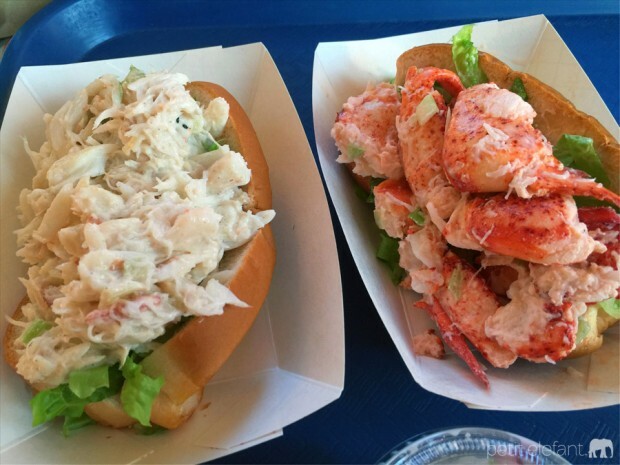 They have the famous New England lobster roll. I know a lot of people love lobster, and their roll is stuffed with tender lobster. I personally love crab, they do a tasty crab roll. Expect a line, as they are most busy during regular meal hours. If you haven’t been to Newburyport and Plum Island, MA do it. Do it now. You’ll adore this lovely area. If you have, what are some of your favorite things to do while visiting? Love to Travel? Check out my other posts on Petit Elefant. Aloha! I'm a food lover, joyful mother, travel addict, irreverent friend, hip-shaking dancer, car radio-singer, make-out lover, and writer. Love to travel? Join me. Cheers! I love that area of MA – my mum’s sister lived in Andover for 30 years and I visited often…they had friends who lived in Newburyport and Plum Island…and I loved both places… so it was lovely to be reminded of these lovely little towns…thank you!